Nineteen WOMEX editions have affirmed the value of networking across borders, be they musical, political, cultural or commercial. Since 1994 WOMEX has been travelling all across Europe from Berlin (1994), via Brussels (1995), Marseille (1997), Stockholm (1998), Berlin (1999 + 2000), Rotterdam (2001), Essen (2002 + 2004), Newcastle (2005), Sevilla (2003 + 2006 – 2008), Copenhagen (2009-2011), Thessaloniki (2012) to Cardiff (2013). 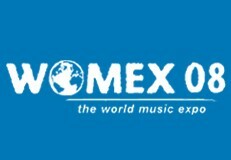 The 20th edition of WOMEX will take place in Santiago de Compostela, Galicia, Spain, from Wednesday 22 to Sunday 26 October 2014. 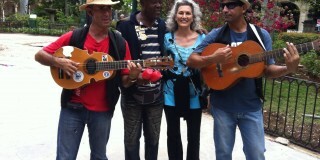 Twenty WOMEX editions have affirmed the value of networking across borders, be they musical, political, cultural or commercial. Since 1994 WOMEX has been travelling all across Europe from Berlin (1994), via Brussels (1995), Marseille (1997), Stockholm (1998), Berlin (1999 + 2000), Rotterdam (2001), Essen (2002 + 2004), Newcastle (2005), Sevilla (2003 + 2006 – 2008), Copenhagen (2009-2011), Thessaloniki (2012) to Cardiff (2013) and Santiago de Compostela (2014). Nineteen WOMEX editions have affirmed the value of networking across borders, be they musical, political, cultural or commercial. Since 1994 WOMEX has been travelling all across Europe from Berlin (1994), via Brussels (1995), Marseille (1997), Stockholm (1998), Berlin (1999 + 2000), Rotterdam (2001), Essen (2002 + 2004), Newcastle (2005), Sevilla (2003 + 2006 – 2008), Copenhagen (2009-2011). 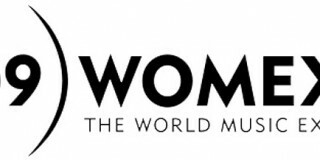 Nineteen WOMEX editions have affirmed the value of networking across borders, be they musical, political, cultural or commercial. Since 1994 WOMEX has been travelling all across Europe from Berlin (1994), via Brussels (1995), Marseille (1997), Stockholm (1998), Berlin (1999 + 2000), Rotterdam (2001), Essen (2002 + 2004), Newcastle (2005), Sevilla (2003 + 2006 – 2008).